Hurry over and help her out! 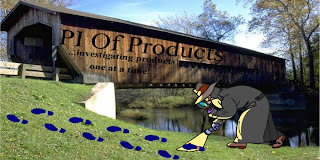 She loves to investigate new products and services! I am sure this is one all of you will LOVE! From My1story comes classics for the 21st century. Now, not only do they have the books, but they have adorable plush characters to go with the books. 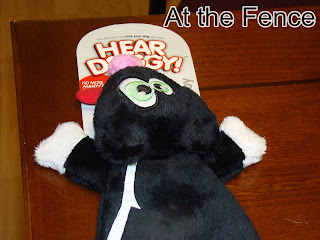 So your child can cuddle up with their favorite character and listen to an updated classic story, with the scary taken out! How many of you remember the story of Little Red Riding Hood? You know, the one where Red and Grandma get eaten by the BIG BAD wolf. And then the woodsman comes and cuts him open to save Red and Grandma. Well, not in this version! In this version Red is no longer Red. Actually she is all dressed in pink! She and Grandma love to do things together like feeding the animals in the woods and baking cakes together. And Wolfie isn't a BIG, BAD wolf, he is just a young wolf learning lessons, The title of the book is Lil' Riding Hood and Wolfie, I Love Cake. Personally I think they need to make a plush Wolfie too! The book is great! no more scary stories at bedtime, just fun, entertaining ones. The writing on the pages are clear and easy to read for your beginning reader too! A nice size for a favorite bedtime story. The plush Lil' Riding Hood is so soft and cuddly. We love her big, green eyes. 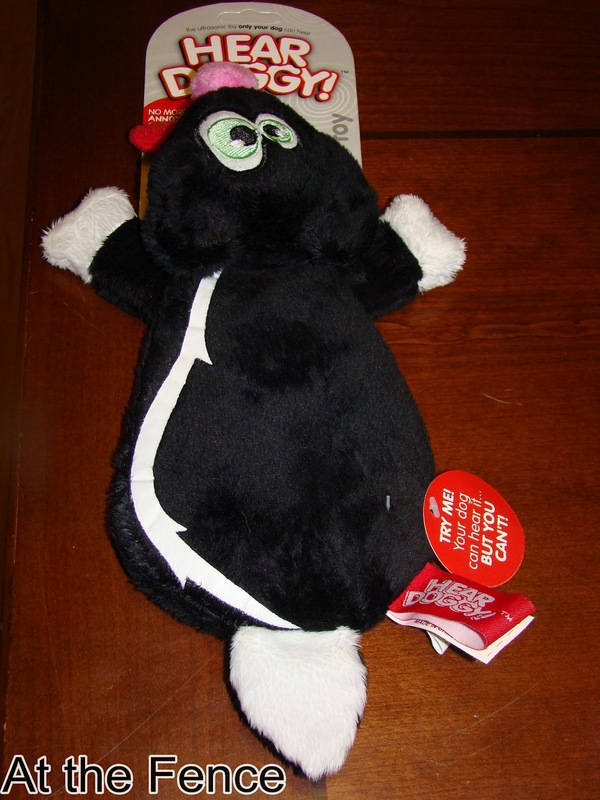 What youngster wouldn't be pleased to receive on of the My1story books and plush characters? Presently, two books, including the Lil' Riding Hood and Wolfie I Love Cake, are available through Amazon, where you can also find both plush characters. The books ( 10" x 10") are $12.99 each and the Plush are just $14.99 each. These would make a perfect gift for that 0-5 year old in your life. You can also visit the My1story website where there are loads of online activities (puzzles, games, videos), including other stories about Lil' Riding Hood and Wolfie, and a few other characters we will be seeing in print eventually. Favorites like; 3 Lil' Pigs and Harry, Goldie and the Teddy bears, and Humpty. I have a feeling these will become favorites in your homes if you decide to purchase one! Oh! Make sure you "Like" My1story on Facebook and then click over to follow them on Twitter. Each storybook and plush introduces classic characters -- now in the public domain -- but in a brand new way. The loveable, never scary, illustrations are by Jaime Rodriguez, a former Walt Disney Company character artist. Formerly sinister big bad wolf has been rewritten as a mischievous but approachable wolf cub. 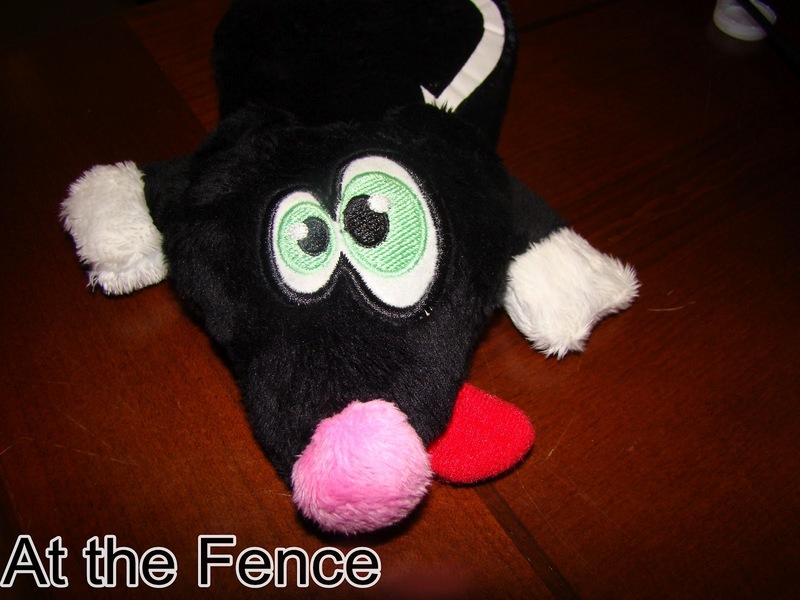 One neighbor will receive their choice of a book or plush character. US only. Disclosure:I received no monetary compensation for this post. I did receive A book and plush character for review purposes. All quotes in red are taken from the sponsor's email or website. All thoughts and opinions are mine. Here is a simply great way to spend Family Fun Night! Or any time you want to spend time together! We received two beautiful puzzles from Willow Creek Press. The first is called "Dog Paddle" and the second is "Red, White and Bluebird". Both are 1000 piece puzzles! I will tell you, I LOVE doing puzzles! We had a great time. We grab a snack, something to drink (although drinks are not allowed on the puzzle table), and gather around the table! The very first thing we do when working on a puzzle is find all the edges we can. It amazes me that we actually transfer the pieces from the top of the box to the bottom of the box searching for edge pieces and when we start putting them together we are still missing edges. Most of us try to get the entire edge of the puzzle done first, but there is always one rebel who starts putting together the center! Once we complete the outside edge, we each pick an area to work on. For example, there are 11 Golden Retrievers, a boat, a dock, a log cabin type home in the back, a small boat and some ducks. I started work on the boat, one of the girls started on the cabin and the other was working on the dock. The others helped or just started working on building in from the edges. I do have to say this puzzle had some really unique looking puzzle pieces. It made it just a little bit harder to find the right pieces. We build our puzzles on a board we have, because we have to do puzzles on our dinner table and then move it to eat! Now, my two sons are not big puzzle fans, but amazingly they would walk by and add pieces, or stop and say things like, "That goes right there!". Usually they were right! As we finished up the Dog Paddle puzzle I was so frustrated because 1 piece was missing. We had been so careful, using the bottom of the box to keep the pieces in and moving the board before eating. Somehow though we had dropped or lost a piece. My son came to the rescue and found it! Yeah! Our next puzzle the Red, White and Bluebird had more normal pieces, but...I never realized how many items could be placed in the puzzle that were red, white or blue! Or the many shades of those colors! This puzzle has several (I mean many) different red, white and blue flowers, a bluebird, cardinal, a little red wagon, a white mailbox with a red flag, a blue and white house, and a red, white and blue windsock (American flag). We are still working on this one! I just had to get this post up though, so I will do another quick post when we finish! Puzzles are a great way to spend time together. The girls and I have had a blast! We didn't just do this for family time, we would pull it down for 45 minutes to an hour in the afternoon, work on it for awhile after dinner, or even right before bed. Willow Creek has several beautiful puzzles to choose from, but that is not all they are known for. They also do calendars, greeting cards, and prints. They have some gorgeous collections! And remember puzzles make great gifts too! Be sure to "Like" Willow Creek Press on Facebook and then follow them on Twitter! Willow Creek is going to be giving one neighbor a puzzle of their choice! I will add a picture of the Red, White and Bluebird puzzle as soon as we finish! Disclosure:I received no monetary compensation for this post. I did receive two puzzles from Willow Creek Press. All quotes in red are taken from the sponsors website or email. All thoughts and opinions are mine. 1st place - $500, 1 year supply of Boogie Wipes, and a pizza and ice cream party for the entire class! 2nd place - $500, 6 month supply of Boogie Wipes, a cool prizes for your entire class. 3rd place - $200, 3 month supply of Boogie Wipes, and cool prizes for your entire class. For more information on our contest, and to submit an entry, please visithttps://www.facebook.com/boogiefans/app_95936962634 . You need to hurry though because submissions need in by September 30th. So click on over and enter! This is only open to the US. Now, be sure to "Like" Boogie Wipes. 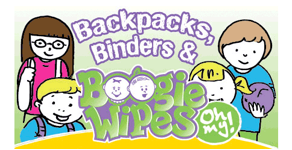 And the other good news is, Boogie Wipes is going to give one neighbor 2 packs of Boogie Wipes along with some samples and coupons. Disclosure:I received no monetary compensation for this post. All quotes are taken from the sponsor's website or email. All thoughts and opinions are mine. Here's another surprise from me to you! A giveaway for the King James Bible on Audio CD, read by Alexander Scourby! Now, how many of you like to listen to the Bible as you do other things around the house? Or maybe while you are driving?Perfect for listening to while you or your children go to sleep. 62 high quality discs in a nice zippered case. CDs are digitally remastered in stereo for enhanced listening enjoyment. This is the entire Bible on Audio CDs. (Suggested retail value $79.95) What a great gift this would make! This is just a special giveaway right in the middle of our Family Fun Night! So hurry up and enter and have some fun! Some special entries to help my daughter's blog grow! How many of you have heard of Homeschool Legacy? 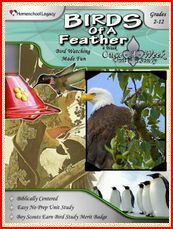 We received their Birds of a Feather Once a Week Unit Study ($15.95). My daughters really enjoyed it. As many of my regular neighbors know, we love to attract birds here. I have shared several pictures of our bird friends. We have several feeders out in the yard along with a birdbath and then we have a small fountain and feeder right outside my window. So you can tell we enjoy birds. Birds of a Feather is a 4 week course that you do once a week. They include a list of extra books you can read (varying ages and skill). There are also fun activities that you can pick and choose from. Some are easy and others are more difficult. For example during the first week you can choose to create a bird feeding station, bird bath, nature journal or scarecrow. This first section centers on creating a habitat in your yard. They also cover Bird Identification, Ornithology (the inside and outside of a bird), and Birds of Prey during the next 3 weeks. We used some of our own books, since my daughter has quite a collection. Homeschool Legacy has many Unit Studies available for you to choose from. I personally like Unit Studies because I can use them for everyone at the same time. And you only use it once a week. You can use it as your curriculum or use it in support of one you already have. These once a week studies accommodate both Boy Scouts and American Heritage Girls. My girls both LOVE attracting birds to our yard and watching them. This Unit Study was a perfect addition to our curriculum. Several of the Crew members received other Once a Week Studies like;Horsing Around, Knights and Nobles, Forest for the Trees, Native America, Lewis and Clark (From Sea to Shining Sea), Early Settlers in America, Revolutionary Ideas, Weather on the Move and We the People (Getting to Know Your Constitution). Be sure to click on the banner below to read more! How many of you play Words with Friends? If you do, would you consider using a Words with Friends Cheat board? I mean really, how serious do you take your game? I personally have not ever played, but many people I know do play. I see their posts all the time about what word they played. Now, what type of words would you need help with? This one stop website will give you the help you need. Not only do they have a list of the words with the hardest and highest scoring words, but you can enter the letters you have and they will give you the possibilities you can use. This is amazing? Need Z words? Check out Words with Friends Cheats. Maybe you a are just drawing a blank and need a little help, stop by! Now, I will ask has anyone used this site before or one like it? Has it helped? I may have to try Words with Friends and see what it is all about. Anyone have any tips on playing? Disclosure:This is a sponsored post. We have been considering some different courses that we would like the children to complete as extra-curricular activities. CPR classes are definitely one of them! I was browsing the website for CPR Certification 101. This would be a great benefit for anyone to know. For use at home, or should it ever be needed babysitting, or just out and about. They do point out on their website one very important point, knowing CPR and being certified are two different things. If you are not certified, you can be held liable. There are different levels of classes available on their site. They have basic CPR or you can learn CPR for varying ages, and how to use an AED (Automated External Defibrillator). Prices vary depending on which class you take. They also offer First Aid Training online. This is another course I would like everyone in the family to take. There are major benefits to each of these courses. Just being a parent justifies taking a course like this. I ought to know having six children. First aid is something we have used over the years. Have any of my neighbors taken a course on CPR or First Aid? How often have you had to put them in use? Be sure to leave a comment and let us know! Now that my husband is on Nutrisystem with me, we have had some very interesting experiences. Like, I don't go grocery shopping with him when he hasn't eaten recently. He is so funny! He walks through the store saying things like, "Isn't pizza a power fuel? ", "Are you sure hot dogs aren't included?". The children went to Sonic the other day with him, it was half price and they wanted a flavored soda, and he joked and asked them to order him a burger or two along with a hot dog with everything! Really he is doing great! It did take a little adjustment to the system, but overall he has seen the benefit of eating better and eating less. Now, I can't share any weight loss this time because we are on the road again and don't have the scale, so we won't weigh in until Monday, but perhaps I can give a quick update then. His biggest change has been drinking lots of water. The first day he did great. The second day he realized in the late afternoon, that he still had a whole bottle of water to go! Now, he makes sure he is done with his first bottle of water by lunch. Nutrisystem sends you a 32 oz. water bottle so you can track your intake. Each evening we can fill our water bottles and place them in the refrigerator and they are nice and cold and ready to go in the morning. I don't have a hard time with the water, but that is because I keep a water beside me all day. Water is so important to your body whether you are dieting or not. I find by drinking plenty of water, I do not get as hungry. He also likes the Protein Shakes you can have for breakfast. They come in Chocolate, Vanilla, Strawberry, and Coffee flavor. you mix them up in your Nutrisystem shaker with water and ice and you have a foaming cold shake. I think the chocolate is his favorite, but he said the coffee tastes like iced coffees he has had before. A quick note on my Nutrisystem D journey! I am finding myself full quite a bit faster. I feel better, and have been able to do longer and faster times on the treadmill. I still have to be careful because of the previous back injury, but I am definitely seeing improvement. That's all for now! I'll give another update later! If you are interested in Nutrisystem check out the information below. I recently was allowed to try the Mario Badescu Skin Care line. I received an entire regimen. Along with my products they sent me instructions for the proper use of each item. So here I am going to tell you about each product and it's use. First off I received the Enzyme Cleansing Gel ($12.00). This is to be used morning and evening every day. You use your fingertips to apply the gel, massaging in a gentle circular motion on wet skin. When you are finished you remove with a soft face cloth or warm water. This is to wash away any makeup or debris on your face. Next is the Seaweed Cleansing Lotion ($15.00). For this one you need a cotton ball. Moisten the cotton ball with the Seaweed Cleansing Lotion and apply with an outward direction to your face. Avoid the eye area. You continue doing this until the cotton ball comes away clean. Obviously, you might need more than one cotton ball. When finished you may rinse your face and neck with lukewarm water. This is a mild, non-drying and non-alcohol toner. The Ceramide Herbal Eye Cream ($18.00) is next. You dab this under each eye and massage into the skin. You work from the outer corner in and continue, applying also to the eyelid. Blot off any excess with a tissue. The Collagen Moisturizer SPF 15 ($22.00) is last. This is applied to the face, avoiding the eye area, nose and chin. Massage in gently and blot excess. Then 2-3 times a week in the evening after cleansing you apply the Whitening Mask ($24.00). I LOVE masks! Apply the mask gently with your fingertips, once again avoiding the eye area. Leave this on for 10 minutes before rinsing off with lukewarm water. You may then finish with the rest of the daily routine. The very last item I received was the Glycolic Foaming Cleanser ($15.00). This one was to be used in place of the Enzyme Cleansing Gel 2-3 times a week. This is to help with some aging spots I have been developing. This is an herbal based exfoliating cleanser. It is to break down dulling, oily buildup and dead skin cells without leaving skin uncomfortable or stripped. Likewise, we have maintained Mario’s dedication to offering our skin care products at exceptional prices. We believe that everybody deserves good skin care, and have crafted our prices accordingly. Using simple, no-frills packaging is part of the reason we are able to do this. While other companies are concerned with fancy, shiny wrappers and bottles, the packaging of our products is not as important as the products inside them. This allows us to focus on providing a quality product at an affordable price. If you click here, you can go have a skin analysis done and they can tell you which products they recommend for you. No one has the exact same skin condition or problems, so Mario Badescu can help you choose the proper skin care for your needs. Leave a comment and let me know if you try their analysis. You can also find Mario Badescu on Facebook and Twitter. Disclosure:I received no monetary compensation for this post. I did receive a skin care regimen from Mario Badescu for review purposes. All quotes in red are taken from the sponsor's website or email. All thoughts and opinions are mine. Recently I was given the chance to review a book from Great Waters Press. Great Waters Press, who published the book Raising Real Men by Hal and Melanie Young, have two new books coming out Children in Church and A Cry From Egypt. 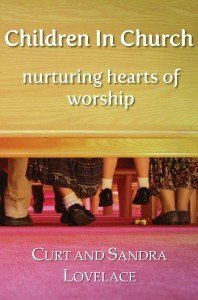 I received, Children in Church: Nurturing a Heart of Worship. The book is written by Curt and Sandra Lovelace. Now, before we even start this, I will tell you I am a big believer in having your children in church with you. Only my two oldest daughters were ever in a church nursery or Sunday School. We quickly learned that we wanted them with us and that is where they stayed. All six of them have grown up in church. OK, that having been said, I truly enjoyed this book! They clearly show through Scripture how God intended for all the congregation to meet together. A complete congregation. They do understand that not everyone will agree with children in church, but through experience I can tell you how much this has helped our family. By meeting together we have been able to discuss messages together, pray together, and grow together. 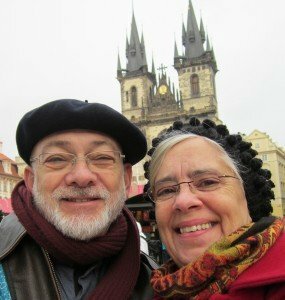 So much can be learned by reading this couple's experiences. They give plenty of examples on how to make the change if you are sure you really want to do this. If you are not fully committed to making this change you will be more apt to quit if you encounter problems. I enjoyed hearing their experiences in different churches that they visited. I really believe this book will be helpful for parents who want their children in the service with them. Pastors and church leaders should also read this book. This is definitely a book that remain on my bookshelf. Some of the Crew Members received another book, A Cry From Egypt. Be sure to click on the banner below to read what other Crew Members had to say! I have thia really nice planner I received from Staples. It is their Moleskin 2013 Professional Extra Large Action Planner. It is 7 1/2" by 10" ($35.95). Now, I ordered it from online and let me tell you, I am even more impressed now that I have it in my hands. I will be using it for organizing this next year At the Fence! In case it is lost. 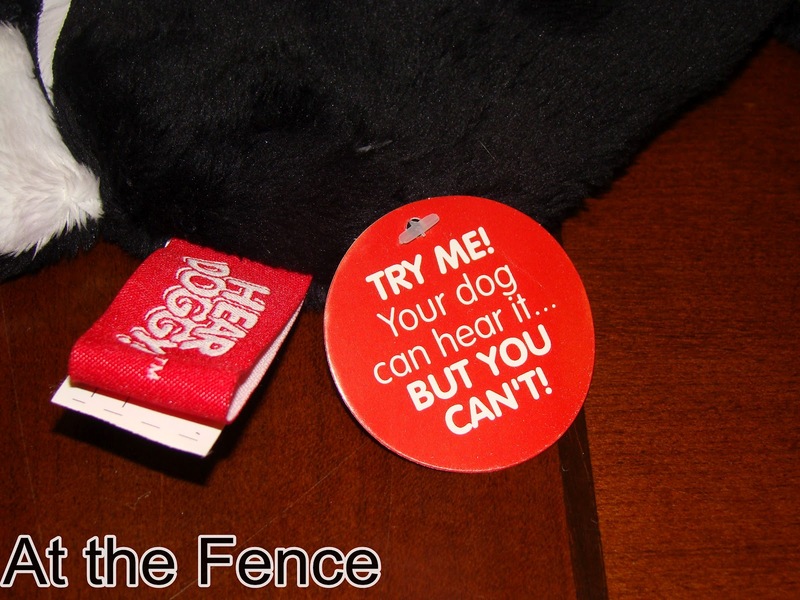 Beside having a cover that I love, it is soft and smooth, it has an elastic closure, so it won't keep popping open. Makes it easier to take with you. The very first page has a place to record where you would like it returned to if lost and a place to put in a reward amount. There is a page for personal information, including address, phone, email, contact information and much more! Next you have two pages with the 2013 and 2014 monthly calendars. You will not believe everything in here, I have barely begun to tell you. After that comes a listing of each day of the 2013 and 2014 years. You can write in special events or dates to remember. There are travel memos, dialing codes, airports, and even international sizes. This is all before you actually get into the planner section. And I love how soft the pages feel. They are not stiff. And as an added bonus, there is an address book inside the back cover! Oh, and I forgot, there are note pages in the back before the address book. Plenty of room to fill in happenings. The Moleskine 2013 Extra Large Action Planner features the whole week on two pages in a vertical column format, plus an additional column on the right page for notes and projects, with two full month snapshots for future planning. This is perfect! I will be able to keep track of every company I have contacted. I will be able to schedule posts, and notate when products arrive. I can keep track of winners and when I sent their information to the companies. And I will be able to keep contact information for each company in the address book in the back! I am so excited, I can't wait to start using this planner! This planner will be going with me on trips and will be on my desk when I am home. I have a feeling I might even be willing to offer a reward if it was lost! Especially after I get all my information recorded in it. Staples does have other smaller planners in the same style. So if you are looking for a smaller edition be sure to visit their website and see what they have. Of course they have many other planner options too! Disclosure:I received no monetary compensation for this post. I did receive a planner for review purposes. All quotes in red are taken from the sponsors website or email. All thoughts and opinions are mine. Do you have a night set aside for family? We do! We try to have family time every Friday evening. We play games, do puzzles, make treats, and just spend fun time together. As you know we are going to mainly focus on fun things for family night the next 2 weeks. Now, here is a game that is quickly becoming a family favorite. It is called Spot It by Blue Orange Games. The game is for ages 7 to adult and 2-8 players. I will warn you, that once everyone catches on, it becomes a very fast paced game. Spot It is a card game with 55 circular cards. Each card has 8 different symbols or pictures on it. According to Spot It there are over 50 different symbols in all. Now, here's the tricky part, there is only one matching symbol between any two cards. For a warm up before you actually begin turn over two cards on the table and allow everyone to try to find the matching symbol. It will always be the same shape and color, only the size may be different. For example look at the picture below and tell me what symbol appears on both cards. If you answered anchor, you are correct. You may want to do this a couple times until younger children catch on. Now you are ready to begin, there are 5 different ways to play Spot It in the rule book. The Tower is the one we have played the most. Shuffle all the cards and then deal one card face down to each player. Stack the remaining cards in the center of the table, face up. At the same time, all players flip over their card. The first one to spot the matching symbol on their card, calls out the symbol and takes the card from the center and places it on top of the card in front of them. This is now their playing card. Everyone else continues with the card they had. The goal is to collect as many cards as possible. The Well is played almost in reverse of The Tower. In this game there is only one card face up in the center and you deal the remaining cards out evenly to the players. All players flip their top card over at the same time. The first one to find a match calls it out and places their card on the top of the pile. Play continues until someone is out of cards. First player to run out of cards wins! Now, I am not going to share the other games here, if you want to find out, I guess you will have to purchase your own Spot It game or perhaps you can win one here. With 10 years experience creating high quality games, exquisitely designed for maximum fun, Blue Orange Games looks to the future with consistent ideals. Using durable materials, Blue Orange pledges to produce high quality, eco-friendly games. As always, we remain committed to planting two trees for each one used in game construction. We are proud of our classic games that have consistently earned recognition from retailers, players and the game industry. Blue Orange Games will be sending the winner of this giveaway, their very own Spot It game. Make sure you follow Blue Orange Games on Twitter and like them on Facebook! Disclosure:I received no monetary compensation for this post. I did receive Spot It for review purposes. All quotes in red are taken from the sponsor's email or website. All thoughts and opinions are entirely mine.